#MayMacWorldTour moves on to Toronto, Canada, one of the greatest sports cities in the world. Check out the video below. 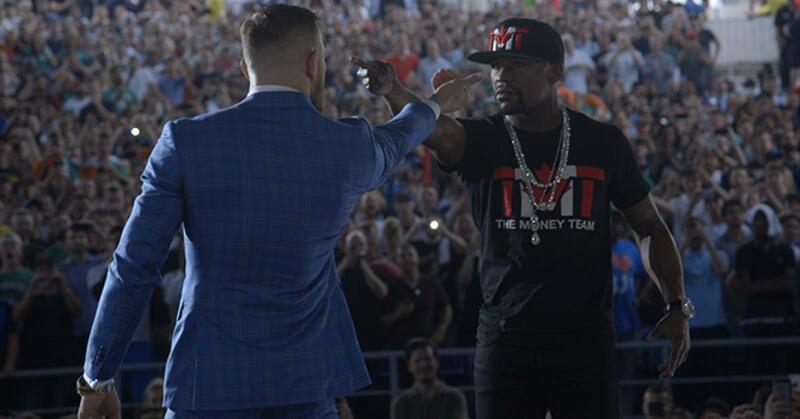 Well guys, the Mayweather vs McGregor world tour kicked off with a bang in Los Angeles and continued on Wednesday, July 12th in Toronto, Canada. It may be news to most people outside of Canada, but Toronto, Ontario is one of the great sports cities in the world, with some of the most passionate sports fans out there. Have you ever been to a Raptors or a Maple Leafs Game? Jeez, Torontonians know how to show support. Not only that, Toronto has some of the most passionate fight fans alive. This was evident when the UFC brought their first PPV event to Toronto, UFC 128, in April 2011. They sold out over 55,000 seats in the Rogers center, setting a global attendance record at the time. It doesn’t appear that this excitement over fights has waned in the past 6 years, as Toronto fight fans came out in droves to attend this press conference for the #MayMacWorldTour, and the fact that the UFC and Showtime Boxing picked Toronto as a stop on the tour is evidence itself. What say you fight fans, has this press conference gotten your juices flowing for this fight on August 26th?